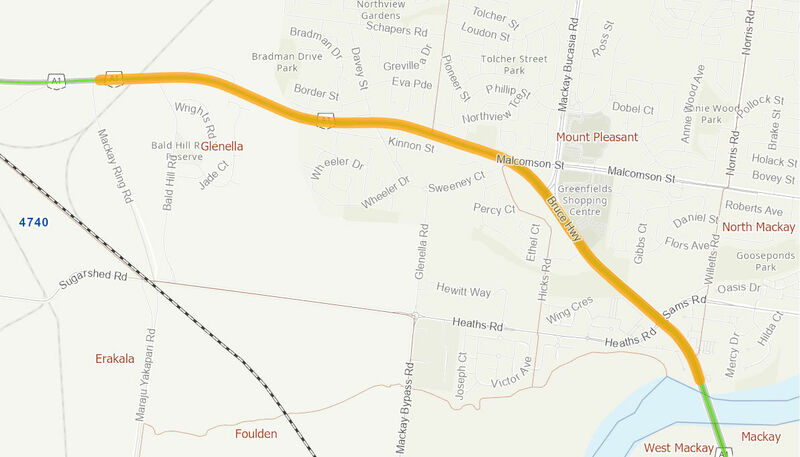 The project will reduce the number and severity of crashes on this section of the Bruce Highway through the addition of lanes and intersection improvements. This will reduce the potential for rear end crashes resulting from stop-start traffic and accidents resulting from significant speed differences between adjacent lanes. The intersection improvements will mitigate the major conflicts currently occurring at the southern approach to the Bruce Highway and Mackay - Bucasia Road intersection. The Australian Government has committed up to $88.5 million towards the project, in partnership with the Queensland Government. Construction is expected to commence in early 2019 and is scheduled for completion in mid 2021, weather permitting.